Do you have a Personal Ethos? Part 1: The 5 Ethical Stands required to establish a personal code of excellence. 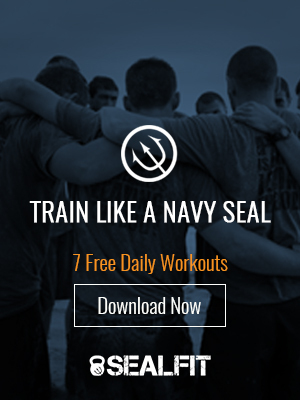 Navy SEALs rely on proven strategies to accomplish their mission. Strategies are the over-arching methods employed to direct the energies, focus and resources of the team. In Kokoro Yoga, we also employ a variety of powerful strategies to accomplish our mission of accessing the inner warrior and achieving maximum performance. In this blog post, I would like to address one of the most important strategies – developing a personal ethos. Excellent results in life are the result of hard work built on a personal code of excellence. I call this your personal ethos. Defining this ethos requires deep introspection and skillful methods leading to a continuous pursuit of self-knowledge and growth. Life without a personal ethos can leave you directionless, not able to answer the question, Why? when faced with life’s many challenges. “The mass of men lead lives of quiet desperation,” wrote Henry David Thoreau, exposing a truth that holds true today. Finding stillness to eliminate the noise and distractions that obscure the voice of our soul from being heard is not easy, but crucial for us to find and fulfill our ethos. Rather than reacting like a pinball to the myriad of forces and stressors rushing at us every day, we must take the time to question deeply what we are meant for, what we are passionate about, and how we can serve meaningfully through our unique gifts. Nonviolence to oneself or others. This code poses a challenge for warriors. I tell my warrior students that it is violent to allow a violent sociopath to conduct violence, so their role as a sheepdog is the protector, and protectors must use controlled violence in service of his or her duty and mission. This is in alignment with this precept. Speaking, thinking and acting truth. Not hoarding unnecessarily. Being honest with what belongs to you, what belongs to others, and what belongs to the common good. Balancing your energy in work, play, and relationships. Not grasping for or getting attached or clinging to ideas, material objects, or relationships. These five ethical stands, when viewed as questions, provide a powerful guide for our actions and thoughts. The code developed as you align with them defines your integrity. They are to be practiced in thoughts, words, and deeds. How do you act truthful? How do you speak truthfully? How do you think of truth? Truth is different in the domains of action, speech, and thought. To have integrity means they are aligned. Next week I will take a look at the 5 personal disciplines, which will take us even further toward an ethos of excellence. Until then, train hard, stay focused and get to work! This post contains a lot of wisdom for its brevity. As an Arthur Andersen alum and Compliance professional now, I can attest to how lives can run off course when these simple tenets are no longer adhered to. Were I to order these, I would say the “thinking truth” within #2 is the first among equals and force-multiplies the others.